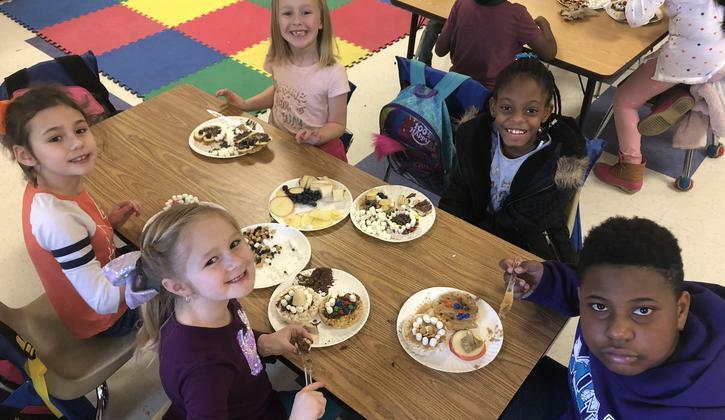 Cooking club always makes something delicious! Art work by students is the best! Fabulous teachers at our school! Wouldn't you love to be here, too?! Walking to school to encourage healthy habits makes everyone smile! Losing teeth...part of the day and learning experience at MMA! Friends together makes everything better! Working hard and having fun is what we're all about! CANDY SALES FOR THE MUSICAL STILL GOING ON! If you haven't had the chance to send a dollar with your student for the candy sale, there is STILL time! Send a dollar and support our musical that will be performed in May. We need costumes, paint, materials for set, and so on. Your candy purchase will go towards a greater good! Thanks for your support! Trailblazers will be presenting the 2nd annual Black History Celebration at the Keihin Auditorium on February 26th! Students that have signed up will be presenting talents and performances that encourage a love and learning of the culture. More information will be coming home soon! Come on out! Join us for our annual Happy Healthy Halloween event! Students and families are encouraged to attend dressed in costumes on October 30th from 5:30 - 6:30 pm. Families will trick or treat at various stations and receive healthy snacks! End of Year testing schedule! Click here to find out what your student's testing schedule is! If you'd like to help out the school by being a proctor, please call the front office!